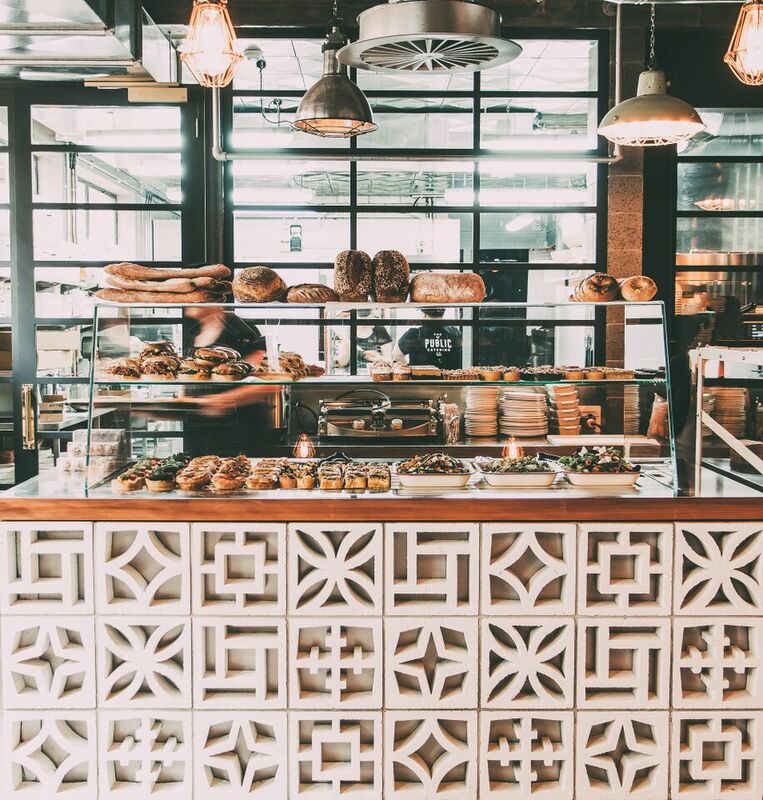 WHAT WAS FORMALLY KNOWN AS THE PUBLIC BAR IS NOW HOME TO THE PUBLIC CATERING CO.
An artisan provider of catering, bakery goods, breads and gelato, The Public Catering Co. is an extension of what was once Lush Catering. Our new foodie business is based on unpretentious philosophies, using only traceable products at a specialist level with a focus on providing fresh, seasonal and delicious food. Food is our passion. Our ingredients are sourced from quality suppliers locally and throughout New Zealand, we are entirely animal crueltyfree, we use free range, cage free and grain fed meat, and all of our fish comes from sustainable sources, so you can enjoy the flavours and goodness of our food with confidence. Our highly skilled international bakers and chefs can be viewed making products by hand from scratch in the well-appointed kitchen from the comfortable retail bakery café. The passionate foodies amongst you can enjoy and sample our lovely proposition in many forms, from catering to large scale events, finger food, canapés, corporate lunches or wholesale breads and baking. We can provide onsite chefs, wait staff and bar staff or we can leave it to you. We know you will enjoy your experience with us within this wonderful historical White Hart precinct. Either order online or pop in a see our selection of fr eshly baked products at the Bakery in the heart of the White Hart.